Of a dark sorcerer’s creations, some take more strongly to the false life given them. The potency of their un-life is given equipment to match; archers, in particular, are often outfitted with a truly vile arsenal. Their quivers are filled with shafts made not of wood, but of the bones of their victims. 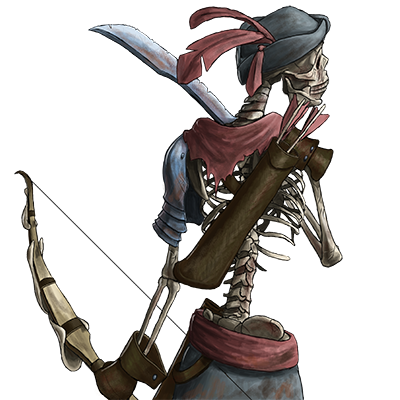 It follows that they are dubbed simply ‘Bone-Shooters’ by their unfortunate enemies. Last updated on Sat Apr 20 00:47:12 2019.